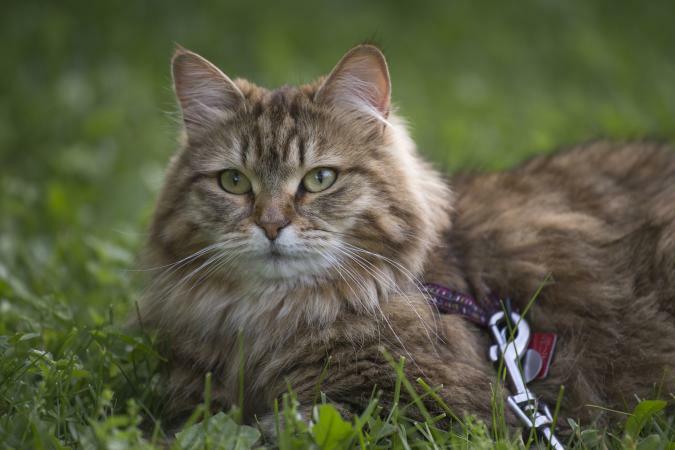 If you're considering adopting a Siberian cat, you may be surprised to learn that you can sometimes find this beautiful, rare breed from local Siberian cat rescue organizations. These shelters take on the energetic, affectionate animals if their original owners can no longer care for them, helping put these cats in touch with people who can give them new homes. Cat lovers with allergies are limited in their choices of breeds that could be considered hypoallergenic. There really are no 100% hypoallergenic cats but a few breeds are less likely to produce the same amount of allergens as your average cat. The Siberian is sought after by many adopters because they are one of these "hypoallergenic" breeds. Many rescues pull out purebred cats from shelters and foster the cat while they put it for adoption. You can find a Siberian cat if you know where to look. The Siberian Cat Rescue Group is a 501(c)(3) rescue based in Texas. To adopt a cat from them, you first have to fill out an adoption application and then submit it for approval. Once you have been approved by the rescue, they will alert you when a Siberian becomes available. All of their cats live in foster homes before being adopted, so the foster parent should be able to provide helpful insight into the personality of the cat before you adopt it. If you meet this group's criteria and are placed with a cat, they will assist with transportation if you do not live in the area. They do not permit cargo shipping. The adoption fee from Siberian Cat Rescue Group is $175.00, plus a $2.00 per day boarding fee beyond your adoption date. Petfinder.com is a national network of rescues where you can search by breed, age and location for a pet. Most rescues in the United States post their available pets on Petfinder. Photos and detailed information about the cat are usually available, allowing potential adopters to see if the cat is a good fit for their family. 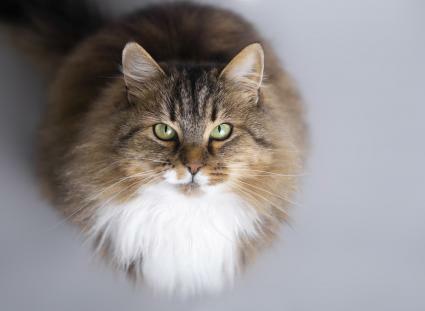 The Siberian cats posted for adoption on this site are usually from shelters or rescue groups of all kinds that happen to stumble across the breed at a shelter. Sometimes, they come from an owner surrender. However, these groups are typically not Siberian-specific rescues. New cats are listed on the site every day, so check often to see if a Siberian becomes available. Adopt-a-Pet is a site similar to Petfinder that lists pets in shelters and rescues across the country. Adopt-a-Pet claims to be the largest listing site for pets available for adoption in the U.S. You can search for a breed based on your location and view photos and detailed information. A nice feature of Adopt-a-Pet is their New Pet Alert system. Since it will probably take you some time to find a Siberian cat in rescue, you can use this feature to receive notices emailed to you when the breed you are looking for is available at a rescue or shelter. Searching for Siberians on Siberian.RescueMe.org will show you a map of which states have Siberian cats available for adoption, and how many of them are available. You can click on the state to see specific photos and information about the cat that is in need of a home. The information available includes personality traits of the cat and whether it gets along with other pets. Contact information is available for every individual cat. People seeking homes for their pets and rescue groups post on this site. Always check on Google for any negative reviews before adopting a cat from a rescue group. Siberian cats are not common in rescues, but they do appear. It will just take some time to find your perfect companion. Instead of buying a cat from a breeder, you can rescue a cat for a minimal price and give that cat a better life while helping to reduce the number of homeless animals. Rescuing a Siberian cat will be a meaningful experience that both you and your kitty will appreciate.